WSU’s influential early president, Enoch A. Bryan, believed students at the new institution must study the liberal arts and sciences as well as professional fields in order to be leaders in their careers. He set the direction for the new college to become a higher education institution with a comprehensive curriculum, as recorded in his book, The History of the State College of Washington. Born in Indiana on May 10, 1855, Bryan earned a bachelor’s degree from Indiana University in 1878 with studies ranging from classical languages to economics. At Indiana, his mentor was David Starr Jordan, later the first president of Stanford University. Bryan taught in the public schools and was a superintendent of schools before becoming president of Vincennes University. 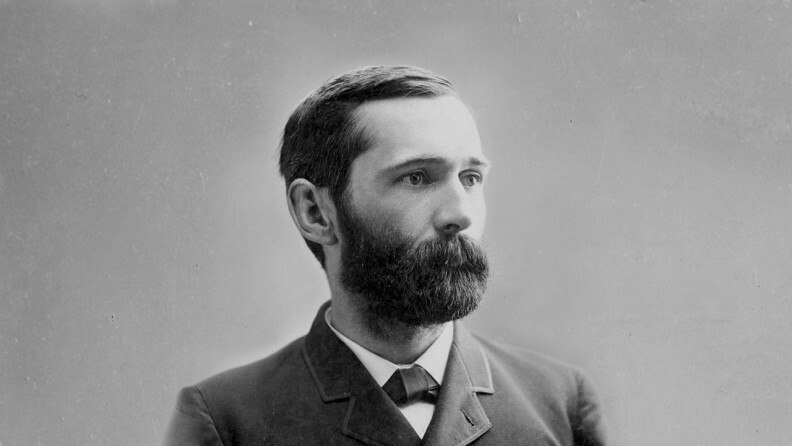 In 1893, he earned a master of arts degree at Harvard University and soon after that became president of the Washington Agricultural College and School of Science as Washington State University was then called. While some political forces attempted to limit the college to agriculture and science, Bryan worked tirelessly to fend off such restrictions. His drive to have the college receive a name appropriate with its growing academic breadth was accomplished on March 12, 1905, when the legislature approved the name The State College of Washington for the Pullman institution. President Bryan served WSC from 1893-1915. In 1916, the University named Bryan Hall in his honor. The building’s clock tower with crimson-lit clock is a beloved landmark on the Pullman campus.